A collection of some of the worlds most bankable autographs from the most famous people in history will be up on the auction block on August 29th, 2016 from Simon Parrs Auctions. 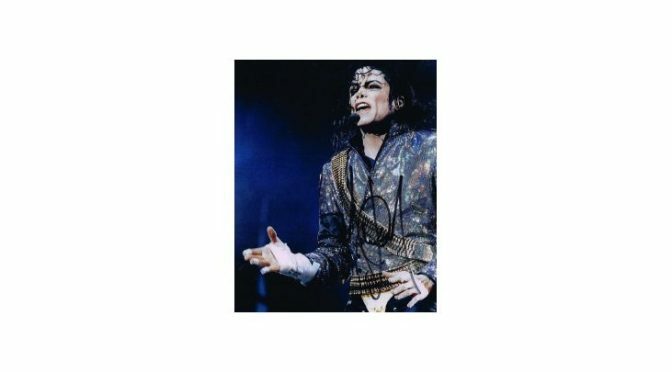 This auction places a focus on Michael Jackson as it is his birthday, and the King of Pop is well represented in this auction with autographs and memorabilia. In addition, bidders can find such notables such as Elvis, Marilyn Monroe, John Lennon, and much more. There are over 140 lots to chose from with live bidding opening 5PM UK Time, which is Noon Eastern Time in North America. A pair of beautiful paintings signed by Michael Jackson are up for grabs at Lots 53 and 63. At Lot 53 is a painting of a naked woman on canvas that measures 12×9 inches an comes with a COA. Lot 63 is a painting of a headless woman on canvas that also is 12×9 inches and comes with a COA. Both paintings are signed by Micheal Jackson, and professionally mounted and framed. Bidding opens on each at 1000 GBP. Lot 51 brings a fantastic piece of Jackson memorabilia to the auction. Presented is a white fedora signed by Michael, with a gold tag and made in the USA. He signed on the inner brim in black sharpie the words “You are all so special to me” followed by his initials. This comes with a COA and is in very good condition. Lot 64 is an acrylic print entitled “Michael Jackson’s Billie Jean” by artist Tu Kwon Thomas. This beautiful print is in very good condition and makes an amazing display piece. Both of these fantastic items will hammer to the highest bidder. In addition, Lot 143 offers a very valuable and rare piece from the Beatles. This is a sealed, original US cover for the “Yesterday and Today” album. This cover caused such a stir before hitting retail markets that virtually all copies were pulled before the public could buy on in the retail stores. A piece of history and bidding opens at 1000 GBP with an estimated value as high as 150000 GBP. Simon Parr Auctions accept appointments to view lots in person, and all items are up for viewing in the online catalog with photos and full descriptions. 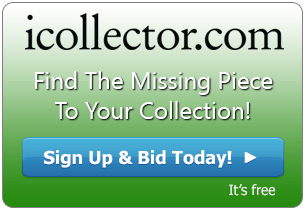 All interested bidders are encouraged to phone or email questions and learn about the treasures they are bidding on.